The nominees for this year’s People’s Choice Awards, which will air November 11th on E!, have been revealed. 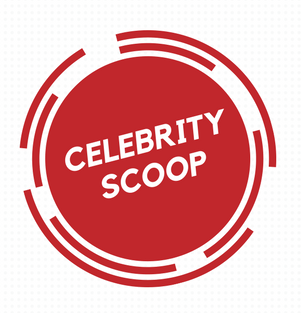 There are 43 categories in all, and in addition to new ones like Animal Star of the Year, Bingeworthy Show of 2018, and Competition Contestant of 2018, there are plenty of music stars who’ve received nods, including Ed Sheeran, Taylor Swift, Bruno Mars, Drake, Camila Cabello, Shawn Mendes and more. This year marks the first time the PCAs will air on E! They previously aired on CBS. Voting is open now on E!. Drake’s track “In My Feelings” is now officially Billboard’s 2018 Song of the Summer. The track from his Scorpion album, which has been at the top of the Billboard Hot 100 chart for eight weeks, shows no signs of slowing down. On Billboard’s Songs of the Summer chart, Drizzy also has the No. 4 track, “Nice For What,” and the No. 9 song, “God’s Plan.” This is Drake’s second Billboard Song of the Summer, following 2016’s “One Dance” featuring WizKid and Kyla. Cardi B holds the second and third positions for this year’s official summer songs with “I Like It,” featuring Bad Bunny and J Balvin, and “Girl Like You” by Maroon 5, on which she’s featured. Dua Lipa, Diplo and Mark Ronson – together known as Silk City – teamed up for a new track called “Electricity,” which debuted at midnight. The video for “Electricity” was also released. Troye Sivan, Rihanna, “Uptown Funk” mastermind Mark Ronson, Lauryn Hill and JAY-Z are the musicians who’ve made it onto Vanity Fair’s 2018 Best-Dressed List. A whopping 43 stars were chosen for the prestigious list, which celebrates those “whose personal style and creativity are redefining the game.” Joining the five musicians are the likes of Mary-Kate and Ashley Olsen, Donald Glover, Serena Williams, Tracee Ellis Ross, LeBron James, Jeff Goldblum, Amal Clooney, Bella Hadid, and Jonah Hill. Check out photos of all the honorees at VanityFair.com. 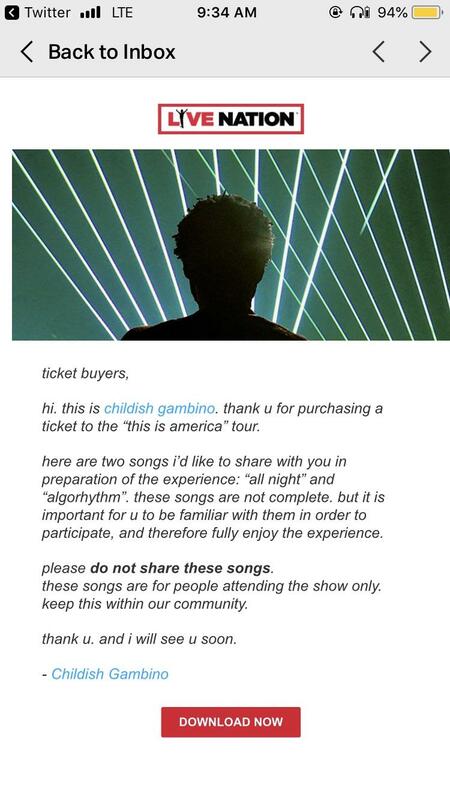 Childish Gambino is offering two free songs – “Algorhythm” and “All Night” – in exchange for purchasing tickets to his upcoming This Is America tour, which features Vince Staples. The tour kicks off today in Atlanta, and will continue through October 12th in Nashville. As previously reported, the singer/actor dropped his animated music video for the song “Feels Like Summer” over the Labor Day weekend. It features plenty of cameos, including Future stealing Drake’s bicycle, Chance the Rapper babysitting Jaden Smith while Birdman mans a grill, and Nicki Minaj losing a game of blocks to Travis Scott. Other celebrities featured in animated form in the video include Janelle Monáe, SZA, Oprah, Lil Uzi Vert, A$AP Rocky, Solange, The Weekend, Kanye West and Michelle Obama. A new Donald Glover-directed short for Adidas Originals tells the story of what happens after that video ends, and appears to reveal a new partnership between the artist and shoe brand. Where the song’s visual follows Gambino’s character pacing down a neighborhood street and observing various animated celebrities before reaching home, the short, titled “Donald Glover,” shows the character after he walks inside. The avatar sits down, takes off his shoes, grabs an Adidas box, and puts on a new pair of sneakers. Then, the short ends. Glover has said that his next full-length, whenever it drops, will be the final Childish Gambino album. In other news, Glover plans to sue Glassnote Entertainment Group because they took too large a chunk of his royalties for his work as Childish Gambino. Glover and Glassnote have been battling it out over the matter all summer. The label believes their agreement entitles them to half his Childish Gambino royalties, while he does not. According to court docs obtained by The Blast, Glover intends to “assert counterclaims” that he is owed $700,000 in streaming royalties. It looks like Kelsea Ballerini will be announcing a collaboration with The Chainsmokers. The two acts teased back and forth on Twitter yesterday (Wednesday, September 5th) with the pop/EDM act writing, “Kelsea you think they’re ready?” She replied, “It’s like you’re READING MY MIND. I’m in.” Kelsea also added, “I’ll tell you a story before it tells itself…” followed by two champagne glass, one heart and one winking face emoji. Kelsea recently hinted about a trip to the west coast for a secret project on her Insta stories, along with a few behind-the-scenes clips from an unspecified video shoot in Los Angeles yesterday. On last night’s Insta story, Kelsea said the secret will officially be announced on Monday (September 10th).